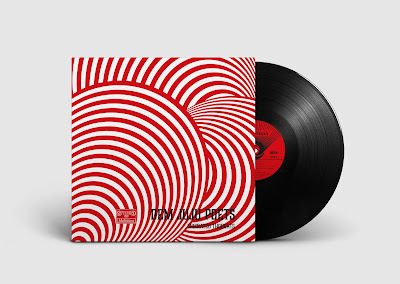 David Hanke - the German DJ and producer famed for his extensive work, including that of over one hundred remixes, under the moniker of Renegades of Jazz - now forges ahead with the next step of his musical evolution... Dem Juju Poets. The success of the 45 and digital singles from last year - through DJ Krimi's French record label, Krimi Records - has spawned the release of the full-length album, 'Liberated Thoughts', now released through Matasuna Records. And fans of the aforementioned 'Voodoo Jazz' and 'Watusi Fever' singles (the latter of which features the musician and producer Hugo Kant on flute) can expect more of the dancefloor-driven afro-funk same - a sound now synonymous for fans of Renegades of Jazz and David Hanke in general. 'Liberated Thoughts' is presented by the relatively young Swiss record label, Matasuna Records, which is headed up by DJ and producer Alex from the SoulBrigada crew and promises good things down the Matasuna pipeline if all twelve tracks of Dem Juju Poets are anything to go by. Released through vinyl, CD and digital formats, David Hanke's production on tracks like album opener, 'At The Jubilee Gardens', the brilliant 'Stonetown Shakedown', 'Mala Mali', and perhaps the album highlight in 'Barbara'. With much excitement, we look forward to what Matasuna Records unveils next, and certainly look forward to more from Dem Juju Poets!